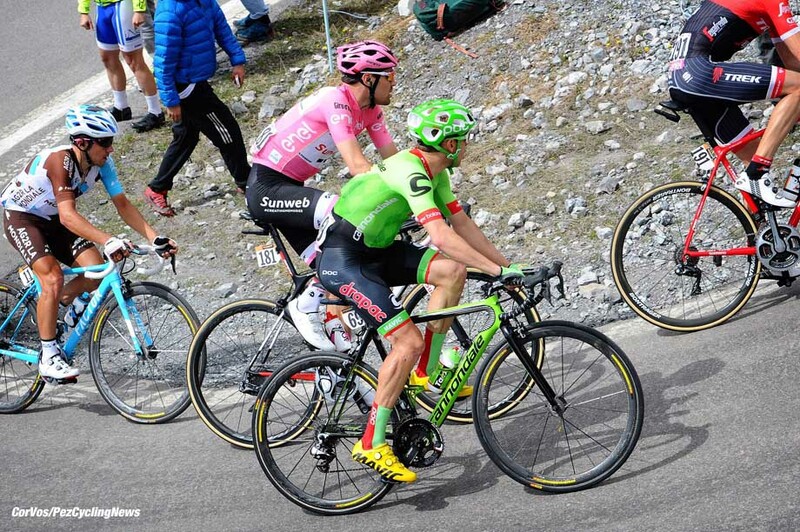 PezCycling News - What's Cool In Road Cycling : Canada’s Michael Woods Talks Liège And Giro! Canada’s Michael Woods Talks Liège And Giro! 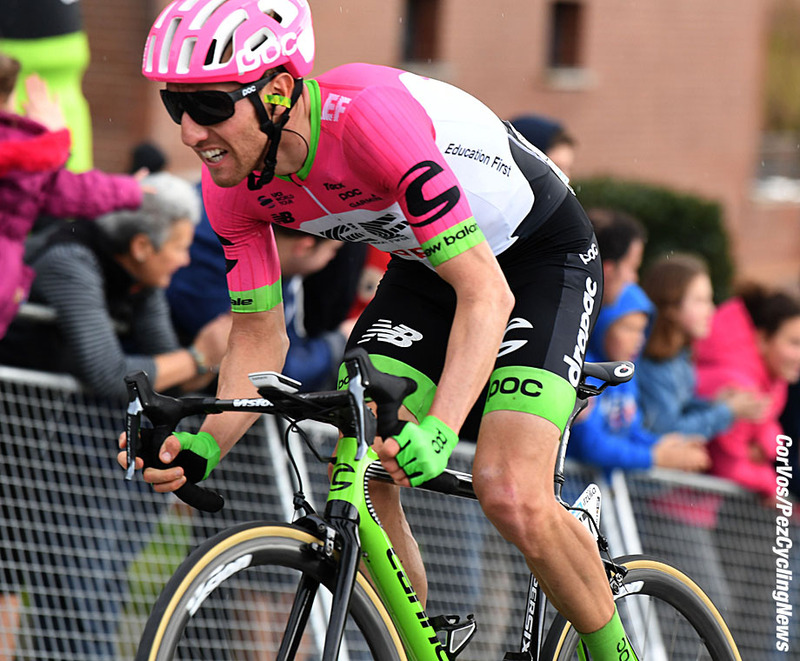 Rider Interview: Canada's Michael Woods has been knocking on the door of a big result and the Education First-Drapac rider came close in last Sunday's Liège-Bastogne-Liège. Ed Hood caught up with the man from Ottawa as he was about to jet off to Israel and the start of the Giro d'Italia. 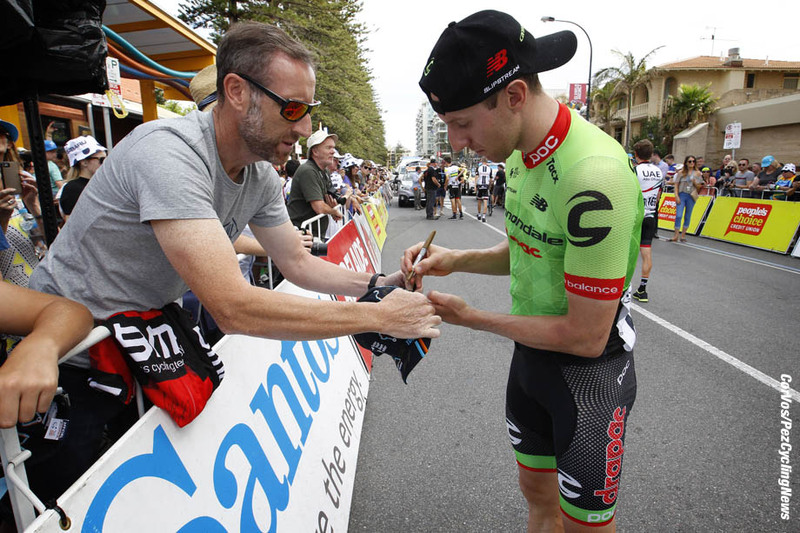 Michael Woods (Education First-Drapac p/b Cannonale & Canada) has come a long way on a bicycle in a short time. Originally a runner to international standard with a sub four minute mile to his credit, Woods turned to the bike when he couldn’t shake off persistent injuries incurred with his running. The results were startling; in 2014 with the 5 Hour Energy squad he was top six in the notoriously tough Tour de Beauce in Canada. 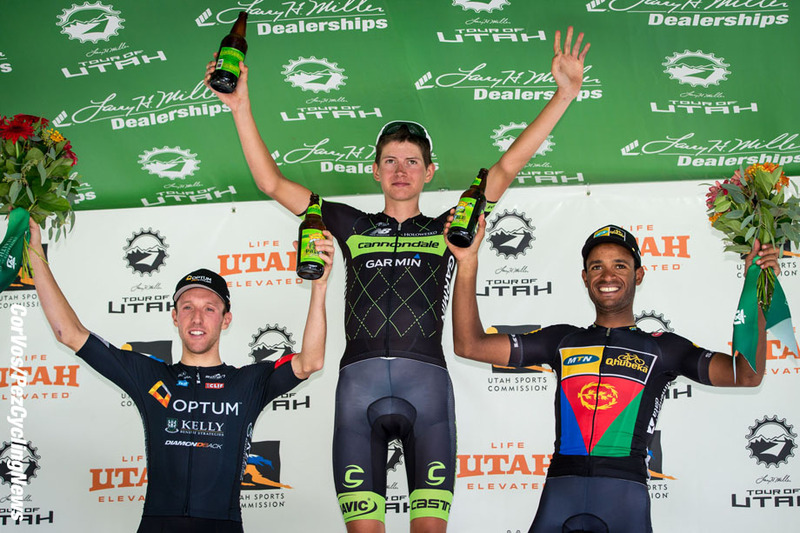 Optum-Kelly grabbed him for season 2015; he didn’t let them down, wins in the Challenge Loule in Portugal, a stage in Gila, a stage in Utah and third overall in the UCI Americas Tour meant the World Tour teams would come a calling. 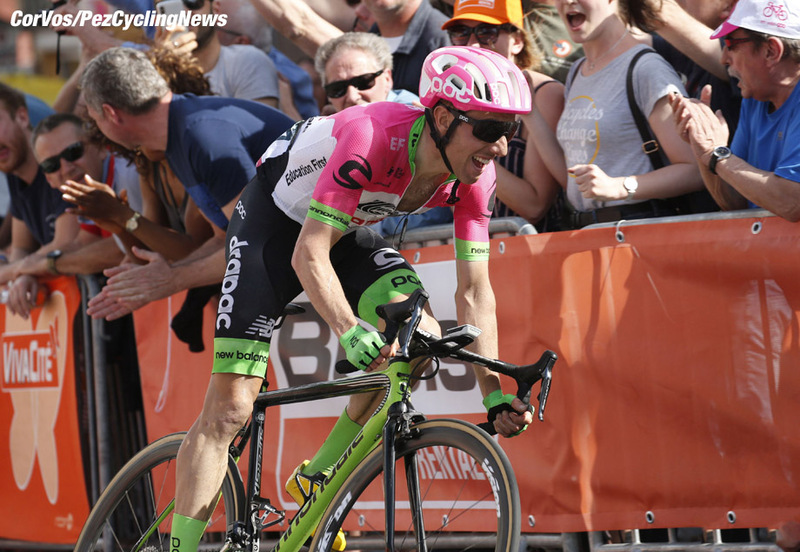 Sure enough, Cannondale was the name on the jersey for 2016; there were two stage podiums in the Tour Down Under, a top 12 in the Flèche Wallonne and despite a bad crash in the Tour of Poland there was a runner up spot in the prestigious Milano-Torino. The event was first run in 1876 making it the oldest of the Italian classic races and one of the oldest in the world. Last season he was second in the GP Indurain, fourth after an ‘exploit’ in Stage Five of the Tour of the Basque Country, 11th in the Flèche Wallone and 9th in Liege-Bastogne-Liege. 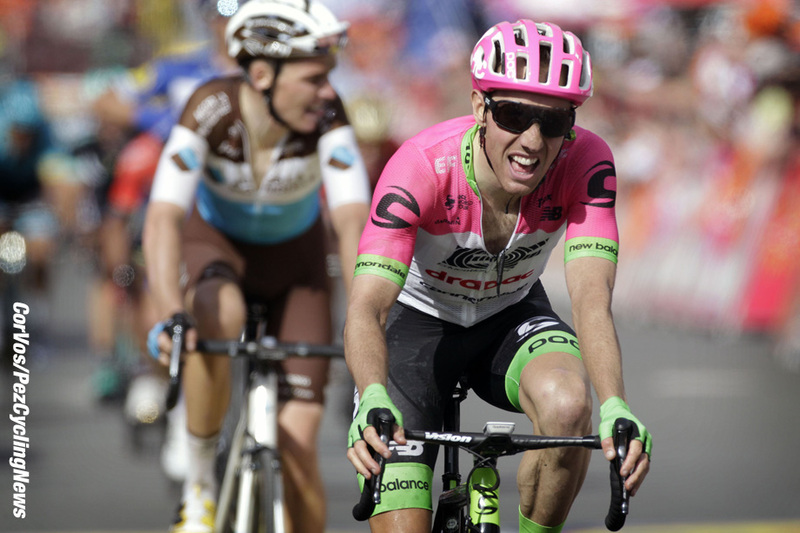 He rode his first Grand Tour at the Giro, finishing 38th but with three stage finishes in the top 10. The Italian experience served him well come Vuelta time where he took seven top dozen finishes and ended the race seventh overall on GC. Season 2018 was initially all about the Ardennes Classics with rides in the Abu Dhabi, Catalonia and Basque tours as preparation. 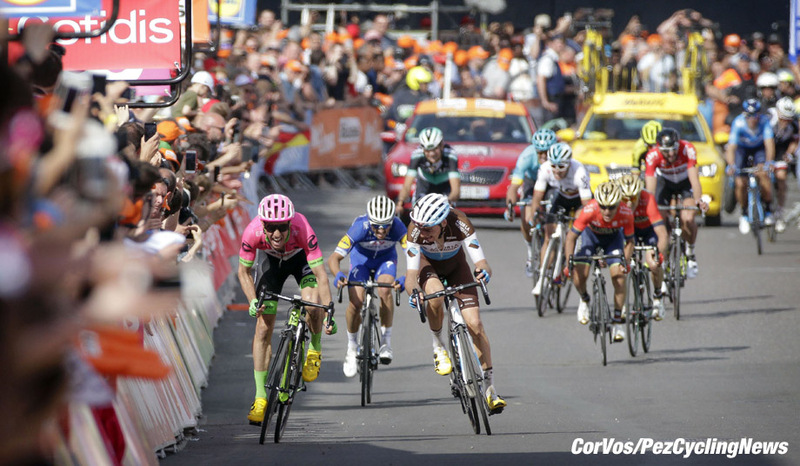 There was a top 20 in the Amstel and then a stunning second place in La Doyenne with only classy Quick-Step, Bob Jungels (Luxembourg) above the man from Ottawa on the podium and the likes of Roman Bardet (AG2R-La Mondiale & France) and Liège ‘Guvnor’ Alejandro Valverde (Movistar & Spain) left in his jet wash. We make it the best finish by a Cannuck in a Monument since Steve Bauer’s 1990 second place in Paris-Roubaix to Eddy Planckaert. Michael took time to speak to PEZ as the clock ticks down to his next big challenge of the year, the Giro d’Italia where he’ll for sure be looking to be higher placed than 38th spot. PEZ: When you line up at Liège-Bastogne-Liège is there a sense that, "it's not just another race," Mike? Mike Woods: Yes, and no. We do so many races in the calendar that in many ways it feels like just another race, but then when you look around, and see the crowd, and you hear the announcer talking about the history of the race, you certainly get excited. PEZ: Was Jungels number one of those on your stem? Nope, only feed zones, climbs and final distance were on the stem for this one. PEZ: From the old steel works at the bottom of the final climbs to the line seems to take forever on TV - how does it feel on the bike, those gradient changes look hard to handle? The race is so long and there are so many climbs and key points before you hit town that once you get into Liege it feels like everything has hit warp speed. You spend all those earlier kilometres thinking about how you are going to feel, and if you will be in the race, that once you actually hit those final kilometres they fly by. 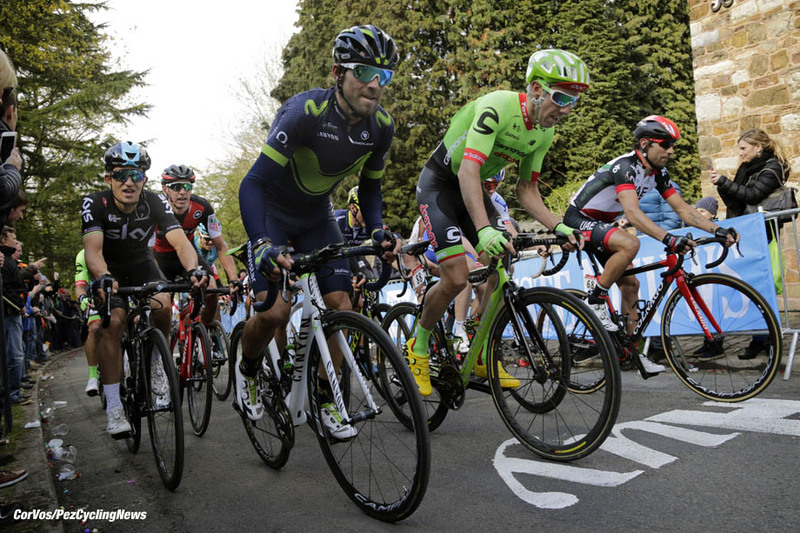 PEZ: Do you think perhaps everyone was paying too much attention to Valverde in the finale? No. The guy is the most dominant Ardennes rider of his generation, you have to always keep an eye on him. PEZ: At the finish, it looked like you had gas left, do you think perhaps you should have committed earlier? No, I think I played the situation as best I could. PEZ: Finale apart, what was the toughest part of the race for you ? Honestly, the finale of Liege, is one of the easiest parts of the race; it is all about legs, and being able to suffer. However the rest of the race requires a ton of focus. If you are not super prepared, well positioned, and riding a tactically adept race during the first 220 kilometres, you won't be there for the finale. PEZ: Are we allowed to ask what the watts were like from the red kite to the line? PEZ: The race is so scenic but the finale so 'grey' - are you conscious of that in the race? A bit, but definitely in the recon. I was talking about this with the guys pre-race. The majority of this race is so beautiful, and then you go over Roche aux Faucons, past a beautiful farm, take a left, and then all of the sudden there is a gas station and you are in the heart of an industrial area. The transition happens so fast that it is hard to believe you are in the same race. PEZ: Tell us about nutrition for a day like that, please. PEZ: Any "what ifs" or "with hind sights"? No, not on this one. PEZ: Next year they're talking about moving the finish back to the riverside; you must be one of the few who are disappointed by that news? PEZ: What's to be done about those Quick-Steps? There's more than one Quick-Step? PEZ: The Giro, what are your ambitions? I have yet to win a World Tour race, so my big goal is to try and win a stage there. PEZ: Have you had a peek at the Worlds parcours - looks like it suits a man with your skill set? Yes, definitely, I've put a big circle around this date on the race calendar. It was November 2005 when Ed Hood first penned a piece for PEZ, on US legend Mike Neel. Since then he's covered all of the Grand Tours and Monuments for PEZ and has an article count in excess of 1,600 in the archive. He was a Scottish champion cyclist himself - many years and kilograms ago - and still owns a Klein Attitude, Dura Ace carbon Giant and a Fixie. He and fellow Scot and PEZ contributor Martin Williamson run the Scottish site www.veloveritas.co.uk where more of his musings on our sport can be found.